The influence of cookbook authors often begins and ends with the quality of their recipes. 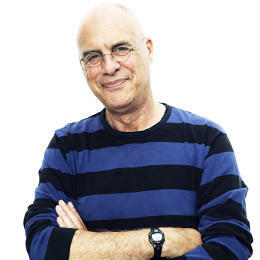 Not so for Mark Bittman. Granted, his best-selling How to Cook Everything is a staple for home foodies (my own oil-stained copy is a testament to its endurance). And his TV series have won Emmys. But Bittman’s influence reaches beyond the tablespoon. He has changed the way Americans think about personal health and their relationship with not just the kinds of food they eat, but where that food came from and how it got to the table. This combination of curiosity and the desire to change the world are two ingredients shared by many successful entrepreneurs. And that’s why we weren’t too surprised when Bittman announced that he was going to take his skills to the startup world by becoming the chief innovation officer for Purple Carrot, a meal kit delivery service for vegans. But don’t worry, he’s going to continue writing too: Starting today, he’ll pen a twice-monthly column about his experiences, which will appear exclusively on Fast Company. Follow along, it might just be good for you.